Authorities in Essex County are actively investigating the alleged assault of a young female victim that is said to have occurred in Verona Park over Memorial Day weekend. 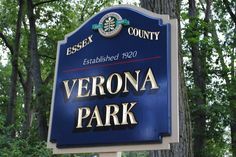 According to a spokesperson for the Essex County Sheriff’s Office, the assault incident occurred at approximately 10:00 p.m. on Saturday, May 28th, at which time an 18-year-old young woman and four others were approached in Verona Park by three suspects who claimed to be students at Montclair High School. The alleged victim told police that she was punched in the face and thrown against a rock by one of the suspects before one of her friends tackled two of the three suspects. When the suspect who had not been tackled said he had a gun, the victim’s friend let the others go. Essex County authorities are currently investigating the incident and have yet to confirm if the suspects are, in fact, students at Montclair High School. The suspect who claimed to have a gun has been described as approximately 5 feet, 4 inches tall and 115 pounds with spiky brown hair. The other two suspects were both described as about 5 feet, 7 inches tall, one of whom had curly blonde hair and a black eye. If one or more of the suspects are ultimately identified and taken into custody, they may face charges for assault, unlawful possession of a weapon, and terroristic threats. Notably, the degree of the assault charges will be determined by the extent of the injuries suffered by the victim and whether or not the State will attempt to tie to gun to the assault offense. For example, an offense that would otherwise constitute simple assault may be elevated to aggravated assault if a weapon is present during the commission of the crime, even if said weapon is not used to commit the assault itself. If the suspects are actually juveniles, their cases will be heard and decided in juvenile court, which is separate from criminal court for adult defendants. Juvenile court in New Jersey operates under the “best interests of the child” standard, as opposed to the standard of punishment and deterrence that governs the adult criminal justice system. As a result, juvenile and adult cases involving the same charges can result in very different outcomes.